In 1982, with Ronald Reagan in the White House and much of America torn between a newly fierce patriotism and the dispassionate conservatism of the dawning "Greed Is Good" era, a number of roots-oriented rock musicians began examining the State of the Union in song, and one of the most powerful albums to come out of this movement was Bruce Springsteen's stark, home-recorded masterpiece Nebraska. In 1995, Bill Clinton was president, America was congratulating itself for a new era of high-tech peace and prosperity, and Springsteen returned to the themes and approach of Nebraska with The Ghost of Tom Joad, an album that suggested little had changed in the past 13 years -- except Americans had gotten better at ignoring the increasingly sharp divide between the rich and the poor, and that illegal aliens who had come to America looking for the fabled Land of Milk and Honey were being forced to shoulder a heavy and dangerous burden in America's underground economy. 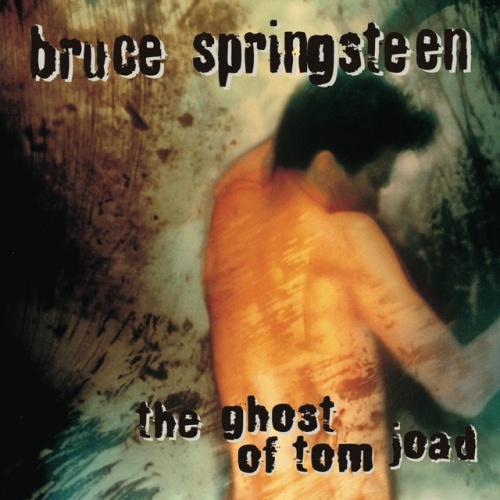 With several of its songs drawn directly from news stories, The Ghost of Tom Joad is more explicitly political than Nebraska (more so than anything in Springsteen's catalog, for that matter), and while the arrangements are more full-bodied than those on Nebraska (five cuts feature a full band), the production and the overall tone is, if anything, even starker and more low-key, with the lyrics all the more powerful for their spare backdrops. While there's an undertow of bitterness in this album's tales of an America that has turned its back on the working class and the foreign-born, there's also a tremendous compassion in songs like "The Line," "Sinaloa Cowboys," "Balboa Park," and the title cut, which lend their subjects a dignity fate failed to give them. Individually, these songs, either angry or plaintive, are clean and expertly drawn tales of life along this nation's margins, and their cumulative effect is nothing short of heartbreaking; anyone who pegged Springsteen as a zealously patriotic conservative in the wake of the widely misunderstood Born in the U.S.A. needs to hear this disc. The Ghost of Tom Joad failed to find the same audience (or the same wealth of media attention) that embraced Nebraska, but on it's own terms it's a striking and powerful album, and certainly one of Springsteen's most deeply personal works.